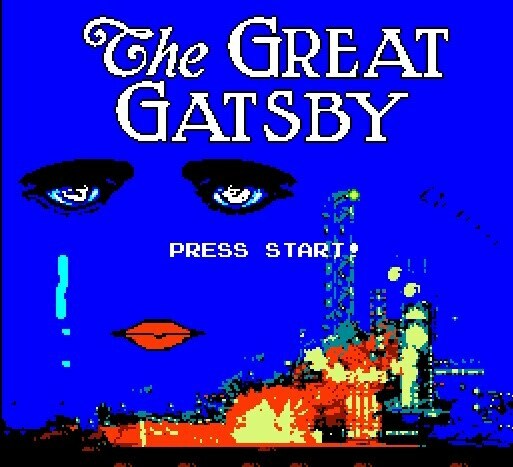 The Great Gatsby by Nintendo! I really don't care if it's a hoax or not (and c'mon folks, it obviously is), but what fun and creativity! 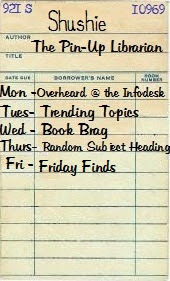 I love the lengths that someone went to in order create this 80's nostalgic literary game -- it's awesome! As someone who received (and, ok I admit it, actually asked for (yes, I was that nerdy)) Nintendo's sucky The Adventures of Tom Sawyer as a xmas gift in '89 (pictured right), which had the amazing ability to be simultaneously difficult, confusing, and boring -- I kinda wish The Great Gatsby Nintendo version had been around instead. 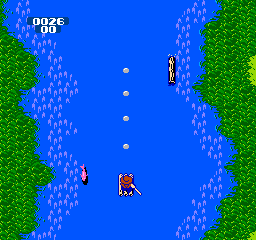 It certainly is much more interesting with better graphics and gameplay than probably at least a quarter of Nintendo's real games, even if it only takes five minutes to beat. 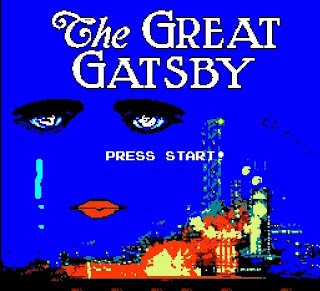 This goes to show that classic literature can work in video game format and I'm betting with all the hubbub surrounding it right now, Nintendo only wishes that they really had secretly invented and never released this. Video games based off of books?? Nice try, having fun while reading, impossible. "Who are Pultizer winning authors, Alex?"